Best Beef for Your Family! Best Beef for the Environment! Hardgrass describes a category of grasses native to the mountain regions of the American West. Hardgrass is especially dense in nutrients due to the mineral rich soil, optimal rainfall, high elevations, and short, compact growing season of the region. As the foundation for the ecosystems of the American West, Hardgrass supports an abundance of wildlife and biodiversity, and it is the grass on which our cattle are raised. 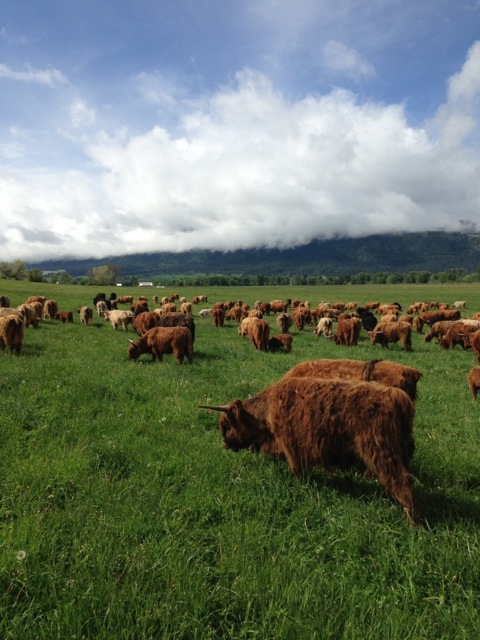 At Hardgrass Beef, the unique nutritional qualities of the grass are passed on to you. That means USDA Certified Organic Grass, with no grain, pesticides, herbicides, no antibiotics and no hormones. With an abundance of pastureland to roam, our cattle are grazed the old fashioned way, and provide the perfect combination of omega-3, omega-6, and conjugated linoleic acids. You’ll find Hardgrass Beef to be low in fat and cholesterol, and unrivaled in taste and tenderness. That’s because we dry age our beef to concentrate and deepen the flavor. Although dry aging is a time consuming and expensive process, we know the results in flavor and tenderness are well-worth it – and we know you and your family will agree.